Show a map on your homepage. You can use your own image, or show a Google Map. Heading - add a heading, such as "Our store" or "Find Us". Address and hours - a rich text box for adding your Address in text version + address / hours. Google Maps API key - you need this if you wish to use a Google Map. 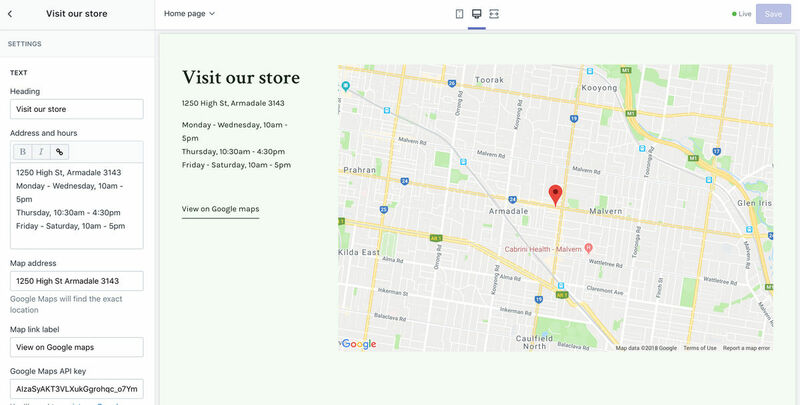 Check out the Shopify guide on how to register for a Google Maps API key.